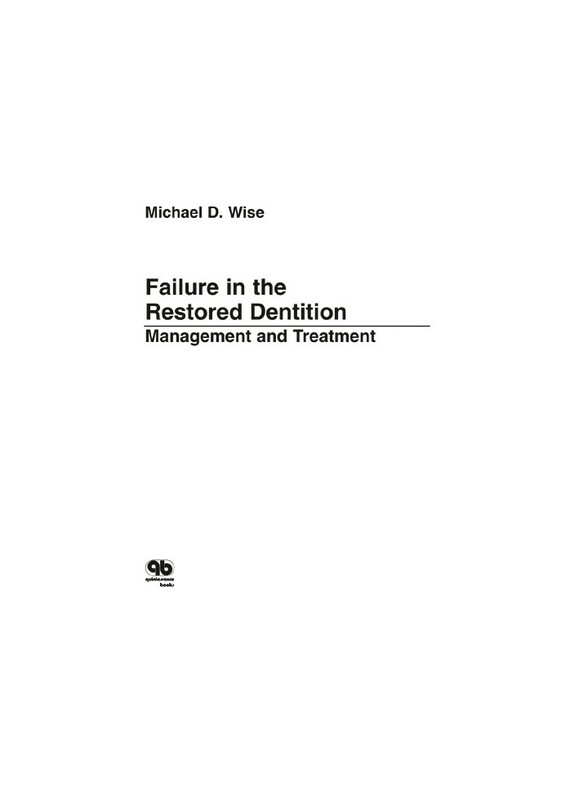 Failure in the Restored Dentition: Management and Treatment. This colossal text by an esteemed clinician explores the causes of failure in restored dentition and approaches to control and predictable treatment. In 36 chapters, the book addresses patient and practice management; techniques, materials and instrumentation; TMJ disorders psychogenic dental problems; and treatment planning, including implants. A 22-part appendix, addressing everything from casting to the final restoration, presents the technical side of management.